This story is a rare and utterly engaging experience. It tells the extraordinary story of a geisha -summoning up a quarter century from 1929 to the post-war years of Japan's dramatic history, and opening a window into a half-hidden world of eroticism and enchantment, exploitation and degradation. A young peasant girl is sold as servant and apprentice to a renowned geisha house. She tells her story many years later from the Waldorf Astoria in New York. 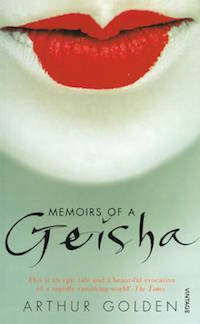 Her memoirs conjure up the perfection and the ugliness of life behind rice-paper screens, where young girls learn the arts of geisha - dancing and singing, how to wind the kimono, how to walk and pour tea, and how to beguile the land's most powerful men. Dit boek vertelt het fascinerende verhaal van Japanse geisha’s. 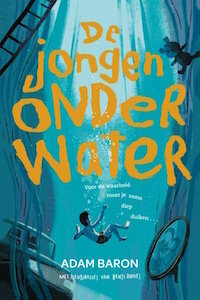 Aangezien wij dit jaar naar Japan op vakantie gingen was ik erg benieuwd naar het boek. Ik vond het leuk om te lezen. Het geeft een inkijkje in een inmiddels verdwenen wereld. In Japan zie je eigenlijk geen geisha’s meer. Ik vraag me wel af in hoeverre het leven van geisha’s ook daadwerkelijk zo was.